This is a signed copy of the paperback book. In a culture that bombards women with “thinspiration” messages and pressures women to “do it all” while wearing the mask of perfection, we are left feeling alone and overwhelmed. It’s easy to lose our courage, to lose our sense of who we truly are, and to wonder if we will ever be good enough. But on the sidelines, some women are choosing to take off their masks and live their most authentic lives. 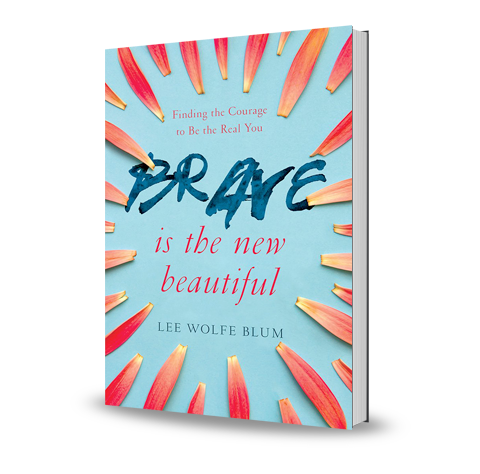 In Brave is the New Beautiful, Lee Wolfe Blum weaves these women’s inspiring stories of everyday bravery with reflections from her own journey. Through call-to-action questions and ideas, she encourages us each to live without fear and shame as we embrace our true selves. Because by sharing our deepest fears and most passionate hopes, we are stronger. We are brave. We are beautiful.